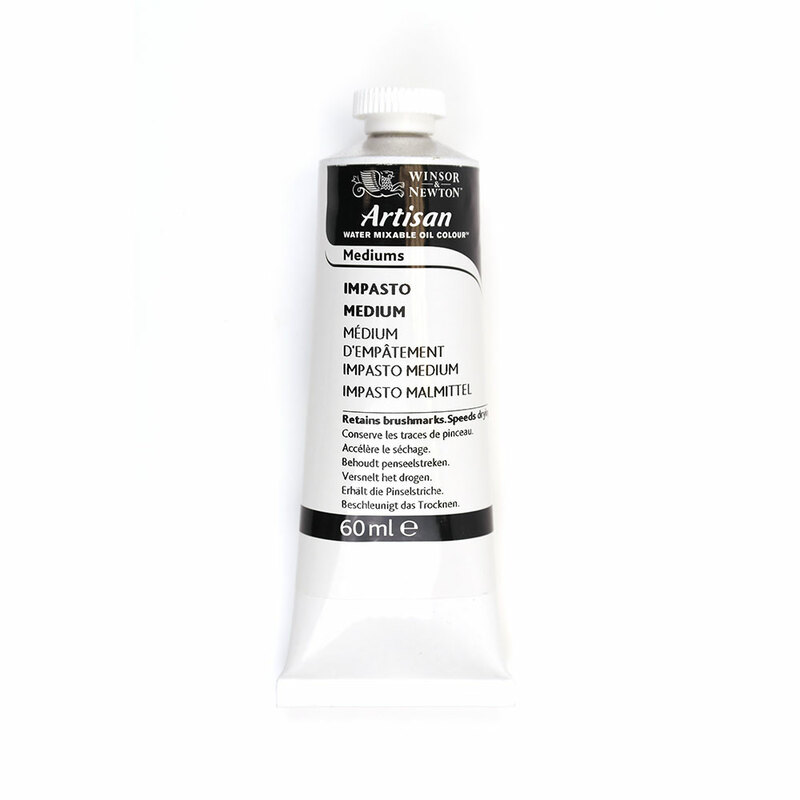 Artisan Impasto Medium is a water mixable impasto and texturing medium for use with Artisan (or other water mixable) oil colours. It will maintain the tube consistency of the colour and speeds the drying of the colours by about 50%. 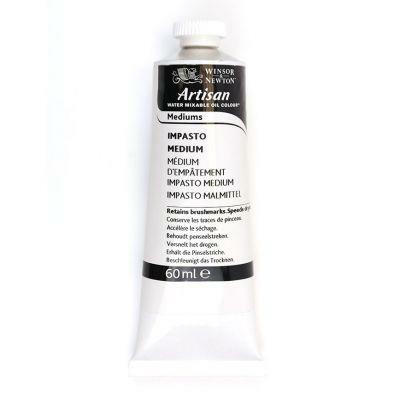 For thick impasto, build the texture in several layers allowing each layer to dry first, mixing the impasto thoroughly into the colour before use.